One of the unique features of blockchain and an attribute that makes it very appealing to a lot of communities is the incentivized technology that it offers. Getting rewarded for one’s contribution towards the achievement any given goal is the best form of motivation that there is. It does not only encourage more participation but enables the fulfillment of the intended aim of any program. In its current state, the digital environment is dominated by a handful of major stakeholders who thrive on the efforts and contributions of the rest of the people. Majority of whom are left without compensation. Facebook for instance would receive all the funds from an advertiser to reach an agreed audience and number of views. These audiences who represent the actual action point, in other words the targeted resource eventually end up being used. This is what you get with centralized systems. Power, control and reward is usually monopolized by the “boss” and the people are seen as tools. 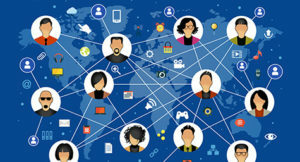 The decentralization brought by blockchain is disrupting this structure and recognising the relevance of participants within networks and communities. In the advertising industry, blockchain solution seems like “the golden pen”. 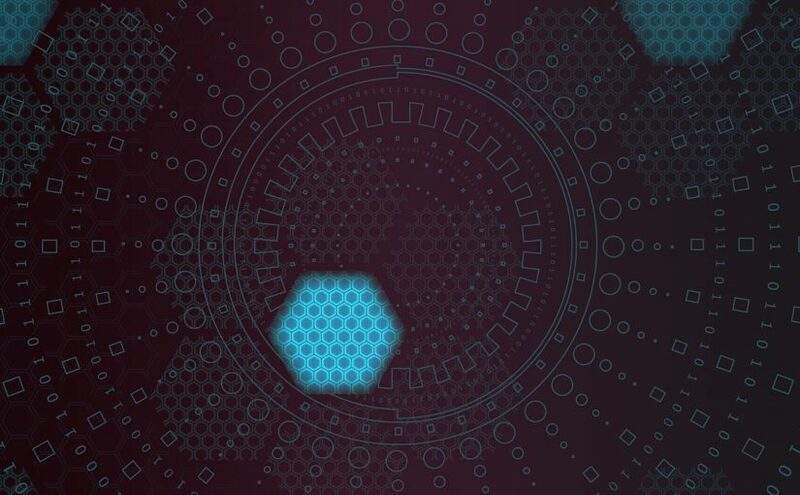 Rather than the ‘hit and hope’ approach adopted by existing systems, blockchain implementation is enabling platforms to structure and execute ad campaigns with a very high precision rate. Beyond just creating and broadcasting ads, the ultimate goal of every advertiser is to reach their intended targets with content that is relevant to their needs. This is why 2Key Network is creating a platform that makes it easy for advertisers and content creators to be able to define their specific budget and also the best possible campaign execution. 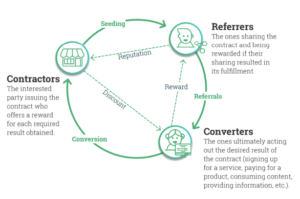 The 2Key platform, that brings GRN (Global Referral Network) technology, enables a sharing network where people would share with their friends, who share with their friends, who keep sharing until the set goal of a given campaign is reached. What is important here is that everyone in the network who made a positive impact during such campaign gets paid. This creates a real network effect and a real link sharing economy that is based on the incentive model. Digital advertising platforms have been criticized for a number of activities that go on within the ecosystem. For instance, the non-transparent nature of operations of the big players further emphasizes the above mentioned ‘hit and hope’ approach. This usually leaves advertisers uncertain about the actual effect of the advertising efforts. Also, on the part of the audiences, spam messages, pop-ups ads, interruptive videos and other unwanted bombardments often come across as nuisance. These elements pass as sources of resentment towards these ads, prompting audiences to find ways of blocking them. Even when they cannot be stopped, advertisements should be appealing to the audience rather than be seen to be forced down their throats. By incentivizing the act of content sharing, 2Key encourages participants to distribute valuable content. This is because the reward system within the chain will rate shared contents based on their impact and popularity. Therefore, the more a participant’s post is shared by the community, the more their rewards. Same applies to ineffective content, as they serve to reduce members ratings and their points in the long run. Powered by Ethereum smart contract, 2Key enables the actual performance of shared content to be transparently measured. Hence, the huge waste incurred by advertisers will be drastically removed and the corruption present in the ads industry automatically eliminated. Content sharing is about to become more profitable for everyone involved, and a more friendly advertising ecosystem introduced. Thanks to blockchain, in combination with Game theory and AI implementation.